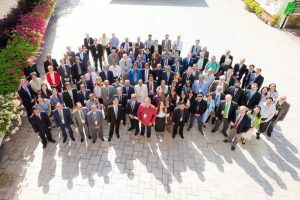 The Asia-Pacific Association of Agricultural Research Institutions (APAARI) is a voluntary, membership-based, apolitical and multi-stakeholder regional organization. It is bridging national, regional and global stakeholders to bring about collective change in agri-food systems of Asia and the Pacific. APAARI’s wide network of members and partners comprises of national agricultural research institutes (NARIs) and national agricultural research organizations (NAROs), CG centres, Association of International Research and Development Centers for Agriculture (AIRCA), universities, extension service providers, civil society organizations, (farmers’ organizations – FOs and non-governmental organizations – NGOs), internatioal development organizations and the private sector. The close links and collaboration with these stakeholders are instrumental in strengthening agri-food research and innovation systems towards more sustainable development in Asia and the Pacific region.